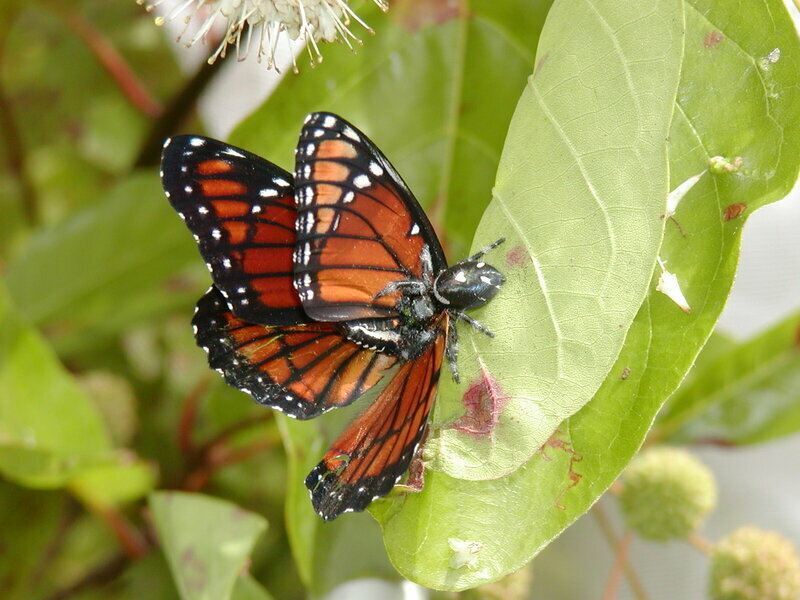 A study on these two butterflies in Florida, led by Katy Prudic, an assistant professor in the College of Agriculture and Life Sciences at the University of Arizona, has found an interesting answer. Viceroy butterflies living in northern Florida, far away from the southern-dwelling queen butterflies, are not only more abundant than their southern kin, but they have also developed their own foul flavor. "In classical mimicry theory, we wouldn't predict that the viceroy butterfly would be able to stay or be in northern Florida. It should be limited to southern Florida, where the queens live," Prudic said. Yet Prudic's study found that the viceroy thrives where the queen is not found, because it has evolved the ability to taste bad.